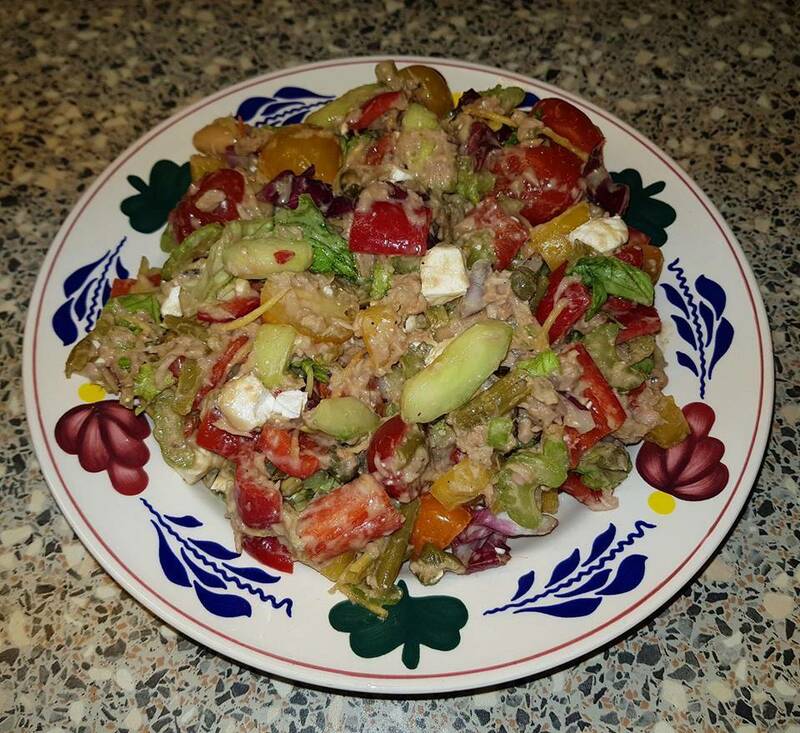 Delicious recipe from Sandra Kemna with ao Greensweet Erythritol. Mix the yogurt with the mustard, balsamic vinegar, the Greensweet erythritol sugar and the pepper and salt. That's your dressing. Put all ingredients cut, sized and weighed in a large bowl and mix.